While we usually recommend getting a separate modem and router, the Netgear C7800 might be the exception to the rule. With gigabit speeds at 32x8 channels and built-in AC3200 wireless speeds, this is one of the fastest and highest quality combination WiFi modems on the market. This router-modem can handle the highest speed plans of any cable internet provider. 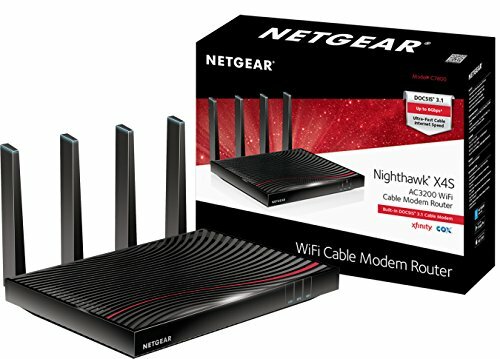 If you are looking for an equivalent modem-only model, check out the Netgear CM1000.